The Firm’s principal, V. Richards “Rick” Ward, Jr., has extensive experience litigating and trying cases on behalf of his clients in the State and Federal Courts of New Hampshire, as well as several State and Federal Administrative Agencies. Rick graduated from the University of New Hampshire School of Law (formerly Franklin Pierce Law Center) in 1999. Attorney Ward is also admitted to practice in the United States District Court for the District of New Hampshire and the United States Court of Appeals for the First Circuit. 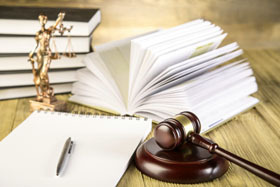 Rick has also appeared in the State and Federal Courts of Massachusetts, Vermont and Connecticut by special admission pro hac vice. In addition to his trial experience, Attorney Ward has extensive experience at the appellate level briefing and arguing cases before the New Hampshire Supreme Court and the United States Court of Appeals for the First Circuit. Rick is a member of the New Hampshire Association for Justice and the American Association for Justice. He is an editor for the Verdict and Settlement Reporter published quarterly as a segment of the New Hampshire Association for Justice publication Trial Bar News. 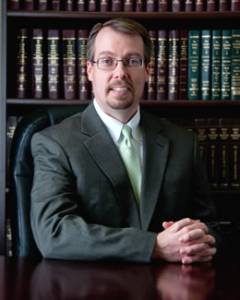 Rick has also authored several articles on legal issues pertaining to Condominium Law, which have been published. Prior to becoming a lawyer, Attorney Ward was an active professional musician having graduated from Boston Conservatory of Music, 1991, BM, and the Arizona State University, 1994, MM, in French Horn Performance. Rick has been a featured soloist with the Columbus (Ohio) Symphony Orchestra, the Central Massachusetts Symphony Orchestra, the Boston Conservatory Symphony Orchestra and the Arizona State University Symphony. Rick has actively performed as a member of several professional orchestras and chamber music groups in the New England and Southwestern Regions of the United States. He still frequently performs as a musician with various regional orchestras. Rick is a member of the Wolfeboro Chamber of Commerce and serves on the Board of Directors for the Wolfeboro Friends of Music.